Having covered much of the region from New York to D.C. on weekend family getaways over the years, we looked to expand our geographic footprint this summer. It had been quite some time since my last visit to Newport, Rhode Island's famed coastal town - 25 years to be exact. A return trip, even if a bit farther than our usual domain, was in order. After a washed-out false start two weeks earlier, we set out in the end of July for a two-night stay over a weekend coinciding with the renowned Newport Folk Festival. In addition to the Folk Festival and its jazz festival counterpart, Newport is perhaps best known as the longtime home of the America's Cup yacht race as well as hundreds of Gilded Age-era mansions. 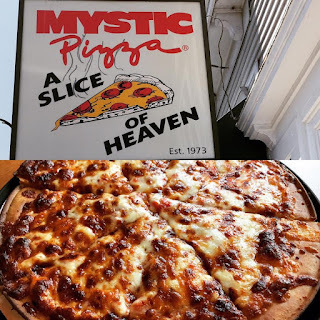 On the trip north, we stopped in Mystic, Connecticut, a quaint fishing village made famous by 1988's Mystic Pizza, which featured Julia Roberts in one of her first film roles. 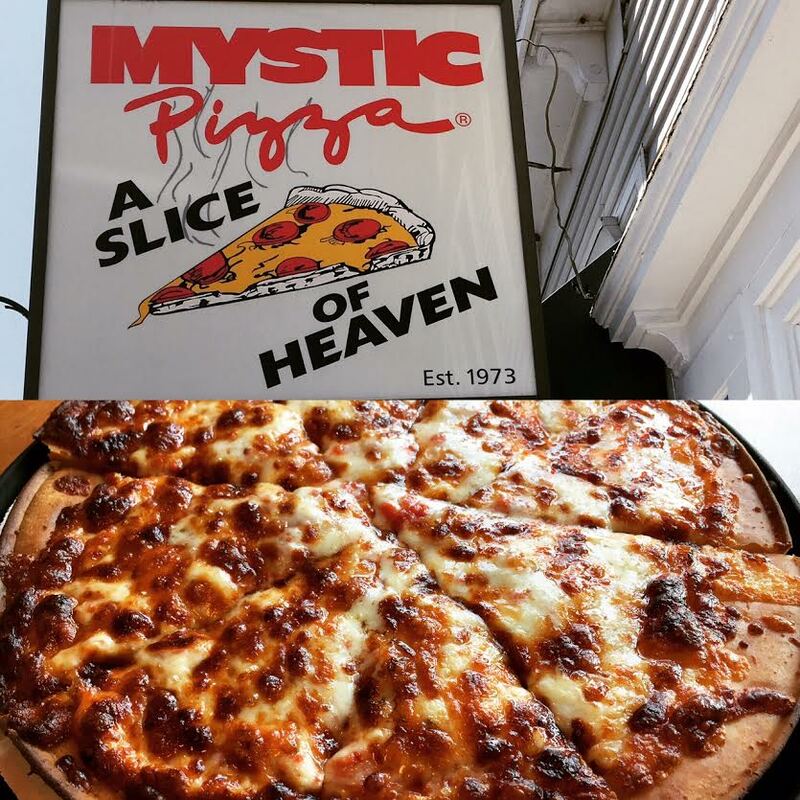 Though it likely wasn't an option back then, the original Mystic Pizza (56 W. Main St., 860-536-3700) offers gluten-free pizza, which our son described as one of the best he's ever eaten. We rolled into Newport about an hour later and took a late-afternoon narrated trolley tour that highlighted the harbor area and the historic buildings. Along the harbor, there are several wharves that feature shops, restaurants and sea-based excursions. We opted to have dinner at The Mooring (1 Sayers Wharf, 401-846-2260), where the food was uniformly excellent, even if service was somewhat slow that particular Friday evening. Ordering from the extensive gluten-free menu, our son had his first-ever lobster roll and we shared a couple of crab cakes. To our surprise, our server informed us that the Take Five Pie - like the candy bar, made with caramel, chocolate, peanuts, peanut butter and pretzels - was gluten free. 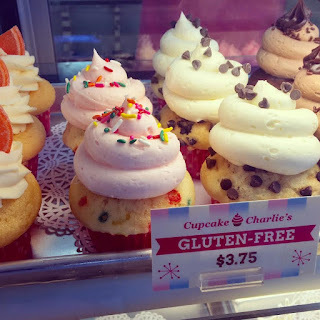 We had designs on the gluten-free cupcakes at Cupcake Charlie's (135 Swinburne Place, 401-848-2253), which are available only on Fridays, but we couldn't pass up the luscious pie. It wouldn't be a trip for our family without a baseball activity, and so after dinner we walked over to Cardines Field, one of the oldest ballparks in the country, to watch a New England Collegiate Baseball League game featuring the Newport Gulls. The teams in this summer wood-bat league are comprised of top college-level players hoping to catch the attention of pro-ball scouts. We left our hotel early Saturday morning for a 90-minute harbor cruise aboard a restored bootlegger, the Rum Runner II. Our captain and guide took us through Narragansett Bay and Newport Harbor and highlighted several of the town's summer cottages and lighthouses. 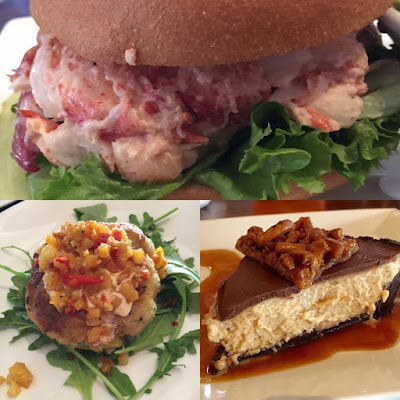 After a few early-afternoon hours at Gooseberry Beach along Ocean Drive, we packed up and headed back into town for a early dinner at Smoke House (31 Scotts Wharf, 401-848-9800). Like The Mooring, Smoke House is part of Newport Restaurant Group, which has developed gluten-free menus for most of its restaurants in the region. The three of us shared a combo platter, made up of generous portions of baby back ribs, brisket, chicken, pulled pork and sausage. 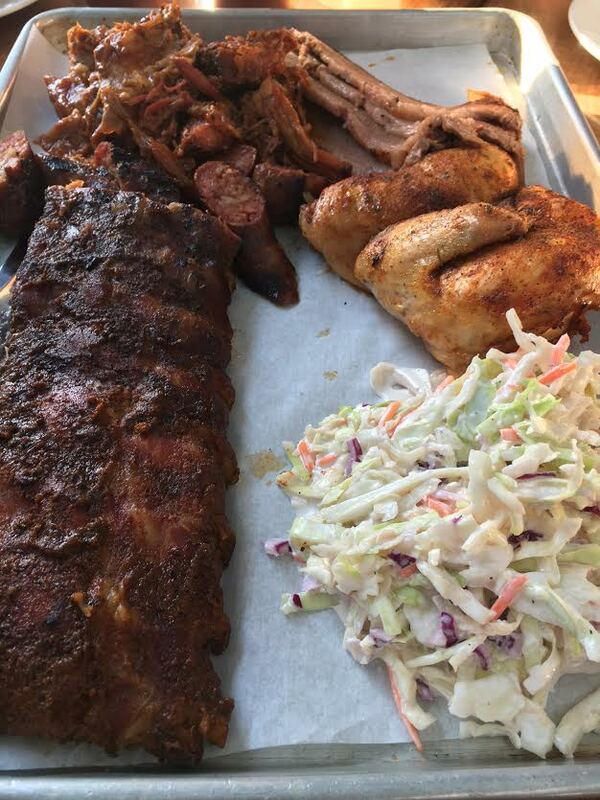 Both addictive BBQ sauces - one molasses based, the other vinegar - were gluten free. The Key Lime Parfait, made with gluten-free pound cake crumble, raspberries and whipped cream, was refreshing, though not as sinful as our prior night's dessert. For the remainder of the evening, we strolled Thames Street and window-shopped at the many stores along the way. We made our final trip into town Sunday morning and surveyed Cliff Walk, part of the National Recreation Trail. The walk offers magnificent views of Newport's shoreline. 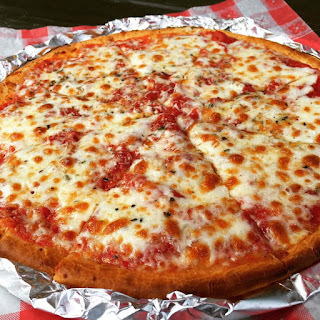 Being pizza connoisseurs, we stopped for a late lunch in New Haven, Connecticut on the way home to try New Haven-style pizza. Several of the places we considered for gluten-free pizza were not open on Sunday, but we found Da Legna (858 State St., 203-495-9999) able to accommodate us. The tasty, airy gluten-free pizza was baked in a coal oven atop aluminum foil.